where from can we find a preinstalled symbos in an image-harddisk? tried the image hd from https://www.file-hunter.com/MSX/index.php?id=symbos (as commented at https://www.msx.org/forum/msx-talk/general-discussion/image-... ) - actually, and finally, it’s now the very first time i’m actually trying to use SymbOS, on WebMSX! status info from openmsx-catapult says "expected floating-point number but got ""Uncaught exception: No hard disk named 'hda'." You're trying to use a harddisk image with openMSX, without having a harddisk interface in the MSX. Then you get that error. Enable the 'ide' extension (if this harddisk image is compatible with Sunrise IDE). I don't think this image is going to work outside of WebMSX. It also doesn't contain the GFX9000 version, I guess. so, where from can i get a working preinstalled image supporting gfx9000? 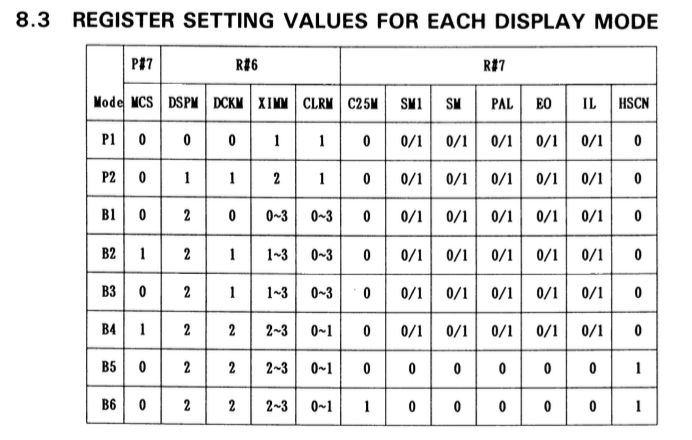 a question: where can we find simple examples in pure interpreted msxbasic, without extensions, setting display modes and writing on the display ram area, only using i/o ports directly? In fact, I've posted a similar code a few pages ago. Have fun! 0          : After P#1 read-out, R#14 palette pointer undergoes an increment. thanks, @tvalenca ! it’s a hugely valuable documentation!